365 Complete Feed Balancer is Equine Answers revolutionary new feed balancer product combining all the nutrients and minerals your horse needs into one product. 365 Complete also includes true pro-biotics and prebiotics to help keep gut health at its optimum and helps in the absorption of the nutrients in the feed. Use 365 Complete as a daily supplement to keep your horse in peak condition. We believe 365 Complete to be the best feed balancer for horses. It is a superb everyday feed balancer being 5 times more concentrated than leading brands such as Blue Chip and Top Spec. All of the vitamins and minerals are provided in the most absorbable form making them far more effective. 365 Complete has taken feed balancers to the next level and this form of vitamin and mineral nutrition really will have your horse in peak condition. Best feed balancer on the market? Grazing, hay/haylage and your hard feed sometimes lack certain vitamins and minerals that your horse needs and 365 Complete feed balancer plugs that gap. For every horse owner that wants the best vitamin and mineral supplement for horses this really is a fantastic high spec feed balancer and has the most comprehensive spec of feed balancers in the equine market. 365 Complete feed balancer includes MSM to help joints, biotin to help hoof structure, pre and pro- biotics to aid a healthy gut and all the major minerals and vitamins your horse needs to stay healthy. 365 Complete is a revolutionary NON heating feed balancer. In formulating 365 Complete we have included the most advanced range of minerals in chelated form, this makes them much more bio available than ordinary rock based minerals. Previously they were only available in human nutritional products but now we have put them at the forefront of modern equine nutrition. It is important to stress that 365 Complete is an all round feed balancer that has many uses. It can be used to add condition if fed at double the amount initially but for horses that are up to weight feeding the normal maintenance amount of 365 Complete helps keep them in perfect condition. Hacking/General Riding - Used as a feed balancer 365 Complete provides everything your horse needs in his/her diet to keep fit and healthy. No other good feed balancer for horses contains the range of ingredients that are present in 365 Complete. Email us for the spec! Showing - A super feed balancer / conditioner, more advanced than other vitamin and mineral supplements for horses due to the range and level of ingredients and how they are provided in this supplement. 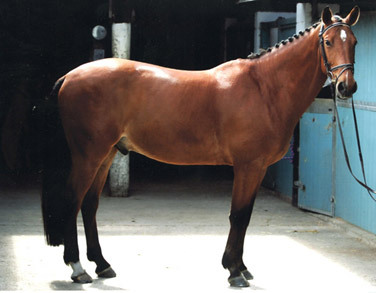 Fabulous for conditioning and producing a fabulous coat and topline. Our present customers include competitors who are regularly placed at the Great Yorkshire Show and HOYS. One such customer who had been using conditioning cubes and a leading feed balancer, described 365 Complete as "the best conditioning supplement they had used in years". Showjumping/Eventing/Dressage - Feed 365 Complete at normal level to help maintain condition and give your horse the vitamins and minerals he or she needs to produce their best with this feed balancer. Endurance - Superb feed balancer for providing all the nutrients and vitamins necessary to allow a horse to compete over long distances. Helps the horse have a "little extra" and with stamina being so important finding the right supplement for endurance horses is crucial and 365 Complete feed balancer is equine nutrition at its best. Underweight Horses - The very best you can buy in equine feed balancers to help put weight on a horse rapidly. Used at double the initial amount you will see the difference in 2 weeks and in a month your horse should be looking like a different animal. 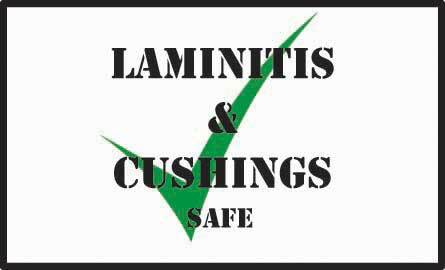 Much stronger than well known feed balancer brands and conditioning cubes for horses. Please email us for a full spec on 365 Complete, it is extensive! Uoeri is a KWPN registered Dutch Warmblood who was imported into the UK as a potential showjumper but started his career in dressage. He lacked topline and overall condition that was crucial to him to complete at a high level. Below is a photo of Uoeri before supplementation with 365 Complete. Below is Ueori after supplementation with 365 Complete, he has put on condition throughout , topline has improved and he is getting all of the essential vitamins, minerals and pre and pro-biotics he needs for healthy growth and for the work he will have to do in training and competition. Uoeri went on to finish 6th in his showjumping class the Horse of the Year Show in 2012. 365 Complete is fantastic I feed it t my extremely fussy 2yr colt who nearly died 9 months ago and has been making a very slow but since been put on 365 Complete not only does he now gobble his feed up but he now is happier in himself and has the spark back in his step and his eyes and its only been a month since starting him on it. I have now introduced this to my 5yr old Stallion and cant wait to see the results. Brilliant product both for improving condition and as an all round supplement for competition horses. We have 14 Horses and all have been using the 365 complete for several years now after changing from another leading brand and we can sincerely say we have noticed a diffrence in condition and wouldnt be without it. 365 Complete is fabulous- I feed it to my horses as they have a forage diet with no hard feed, they have a scoop of 365 complete in a handful of chaff. My horses are all unshod, in full work with great hooves. There has been a noticeable change in all 3 of them- the arab is more relaxed and focused in his work, the veteran cob is less stiff and the native pony has energy and sparkle! It can't be a coincidence that there has been a change in all of them, and the only part of their management that has changed is 365 Complete- very impressed, I will certainly be keeping them on it - Thankyou! We have tried a few different feeding regimes for our 7yr old Thoroughbred, 365 Complete is hands down the best one we have found. Our boy looks better than ever and is continuing to put on condition and muscling up just as we want him! Fabulous supplement! I have been using this 9 months on my own 2 horses and so impressed with their health condition shine etc have recommended it so that many other horses on my yard are now also using it with benefits starting to be seen. An amazing all round supplement nothing else is needed. I absolutely love this product. Been using it since 2008 when I needed to get weight/condition on a mare I had just bought. Still using it on the SecD I bought in 2009 now rising 16 (and my 3yr old ) been on it since I bought him as a yearling (as a balancer). Always complimented on how well they look and how they are both in such good condition. Thank you Andy for talking me through this product all those years ago! My 7yr old cob x has been on 365 for approx 3 years it's fabulous he always looks amazing is never sick or sorry and has rock crunching bare hooves. I recommend this product to everyone. I've also used Farriers Favourite and Calma with great results. Thank you Equine Answers! 100% recommend, I have a 16.2 KWPN competing at 1.20 level and having used branded more expensive feed balancers this one is by far the best! My horse has never looked so good coming out of winter being over 50% TB and has maintained his weight and topline even when he has had to stay in for long periods. Over the moon I found this gem of a balancer! Fantastic product! After trying nore expensive balancers that busted the bank with not great results, I decided to give 365 Complete a try and have never looked back! My horse has the most amazing shine and looks in really good health, I am always receiving compliments about him! 100% recommend! 8 months on it now and will never use anything else. Would just like to take this opportunity to let you know what a wonderful product 365 complete is. My horse has been on it for about two months now and his coat is fantastic. my farrier asked me what i was feeding him as his feet were in such good condition - it's all thanks to 365 Complete, I would not use anything else now!! I have been using the 365 Complete on my Andalusian stallion who is always a bit leaner & lacking in top line than I would like. Since being on the 365 he has improved & also has a super coat as well as being a bit more "chilled out". I am so pleased that I am now giving it to a Hanoverian broodmare and 2 weanling foals. Thank you for the 365 Complete. My horse has really picked up now. I started feeding the maximum amount and then dropped it back to the maintenance level when he started to pick up, I would definitely use 365 Complete again in the future - he's a different horse now. Have to say I'm very pleased with the 365 Complete. Alfie certainly looks in good health and has had none of the previous issues with the change over to 'hard feed'. His coat, hooves and general appearance are improved and people have said how good he looks. My instructor has also commented on his suppleness, he's always tended to be a bit stiff behind! So I certainly intend carrying on with '365' for the foreseeable future. Superb product! Hi just to say that my horse has been on 365 complete for nearly two weeks and I am already seeing a difference in his condition. In a world where people are quick to complain. I wish to complement Equine Answers on how your product 365 Complete has transformed my horse. I have been using it for the last 5 months. The change in my horses condition has been so dramatic. I really only noticed it when a fellow livery returned after being away for a month and stated how well my horse looked. Looking at her now and i can see from old photos. Her tail is shiney and glossy she has kept condition on whilst being on restricted grazing due to a tendon injury. It has always been hard to keep condition on her and had previously resorted to giving her a condtioning feed (which cost a lot and often made her exitable). Now she is able to have low energy feed and keep condition. Your product is reasonably priced which is easier on my pocket. I have recommended this product to other liveries. They only have to look at my horse to see the results. I've noticed a big difference since starting my horse on 365 Complete. I have noticed a difference in my horse Rikki's coat and hoof condition as well as a marked change in his muscle development. It is a fantastic product at an excellent price, I would highly recommend it. Just to let you know how glad I am for buying your product. I emailed for advice first because I wasn't sure if it would be suitable for my laminitic pony, which you said it'll be fine for him. At the end of winter he was looking old and moth-eaten so I bought a tub and he absolutely loves the taste and has put on condition without putting on the weight, he looks 10 years younger and seems happier overall. Well done and thanks! hi ,I have a major problem in that I have run out of the product ordered 365 complete and my horse has not had the product for a few days and has thus returned to the problems he had before ie. tummy problems with loose stools grumpy unhappy horse if poss could you please send order asap as horse and owner desperate to be back on product, many thanks from desperate owner with unhappy horse. 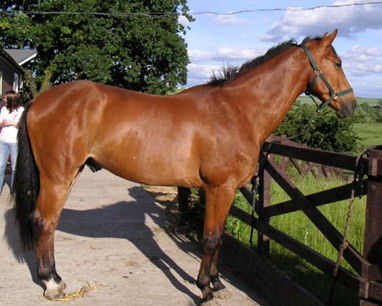 I have seen fantastic results on a clients tb gelding... he has muscle tone and top line and condition appearing on him from the hindquarters working its way toward the head.... I am noticing the difference weekly ..... oh and he is happy and blooming, fab coat!